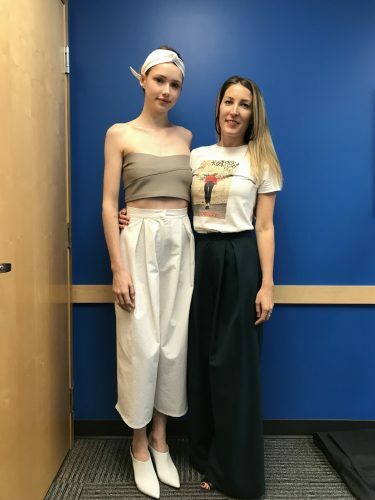 This afternoon John Casablancas Institute Core Fashion Design graduate Lyndsey Jackson was invited to CBC Radio Vancouver to show a sneak peek of her Spring/Summer 2019 collection which she will be revealing at Vancouver Fashion Week on Wednesday September 19th. Lyndsey was joined by Jamal Abdourahman, founder of VFW, and local menswear designer Jason Siu. Jamal had the pleasure of introducing the designers and a sneak peek at their collection. VFW returns for the 18th year on September 17th to September 23rd. This will be Lyndsey’s second year showing at VFW. 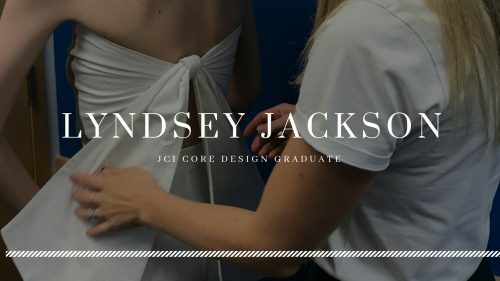 Her brand Phased by LJ is a women’s contemporary brand that focuses on simple designs which incorporate asymmetry in the cut, colors and fabrics. All pieces from her collection are locally crafted and designed. 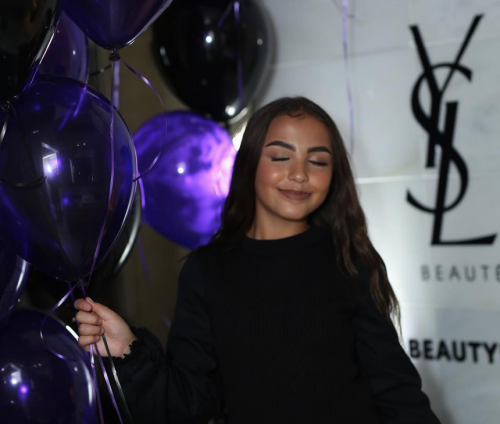 Lyndsey’s SS19 collection, “Feels Like TWENTYSOMETHNG” pulls inspiration from the past decades of her life and her experiences she has encountered in the previous 10-years, including music, travel and more. Her previous collection consisted of dark monochromatic pieces, and this season she has switched it up to a more lighter theme, including white and grey prints and summer inspired garments. For the first look, model Tatum Robinson wore a cropped s/s version of the classic model pant from her previous collection. Lyndsey always creates matching set pieces: both pants and tops. The head-wrap that the model styled in her hair is made from leftover trims of fabric from each look. The second look is a geometrically textural fabric made from poly rayon spandex. The grey shaper mesh top is durable and fabulous for layering. 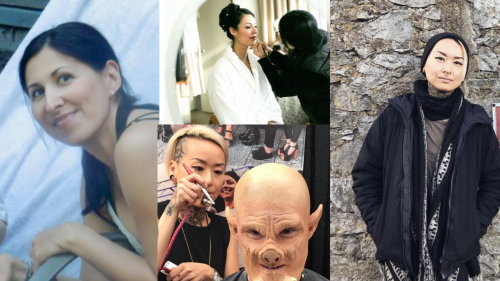 Makeup and hair for both stunning looks were created by JCI Makeup Artistry graduate Miguel Peralta. 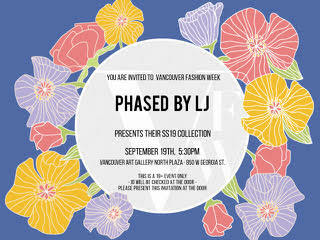 Don’t miss out on Lyndsey Jackson’s SS19 show at VFW on Wednesday September 19th at 5:30 PM. 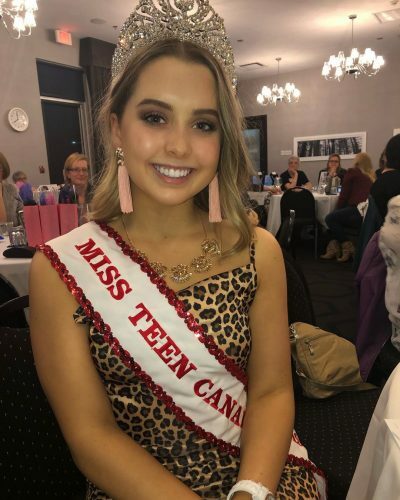 In a time when we are so removed from where our clothing comes from, it takes a special individual to want to pursue fashion design- a person who understands how rewarding it feels to make something with their own hands. Someone who possesses an innate desire to create and is determined to bring their unique vision to the world. In the Core Fashion Design program, you’ll start with something as abstract as a sketch and turn it into a collection. We’ll provide you with the most advanced and relevant curriculum, while training in an environment that’s similar to a real fashion design company, so you can make your mark on the world as a designer. 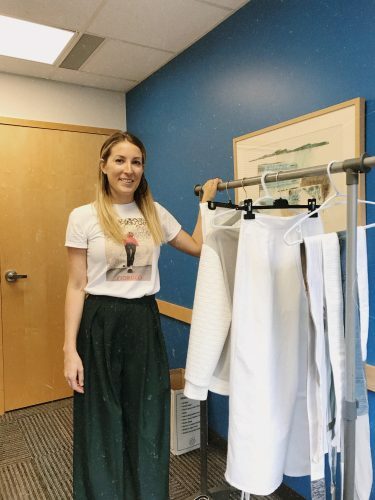 This 26-week Fashion Design program consists of in-depth theory, practical knowledge, additional open lab time and hands-on, creative projects. To ensure that your training is current and cutting edge, we’ve teamed up with top fashion designers from Alexander McQueen, Aritzia, Lululemon, Helly Hansen, Kit and Ace, and OAK+FORT, giving you access to some of the most design-oriented minds in the city. We asked these industry leaders what they’re looking for in recent graduates, and incorporated their wants and needs into an efficient 6-month design program. By the end of the program, you’ll showcase your debut collection to a live audience at the JCI Graduating Fashion Show.